Charles Leclerc will feel hard done by as Ferrari engine issues prevented him from taking his maiden win under the floodlights in the Bahrain F1 Grand Prix over the weekend, leaving a lucky Lewis Hamilton on the top spot of the podium. It was rotten luck that saw Charles Leclerc drop to third place overall after leading for most of the race on Sunday. He lost a few positions in turn 1 after starting from pole position for the first time, but the man from Monaco fought back like a veteran of the sport and, by lap 6, had made his way to the front of the pack. 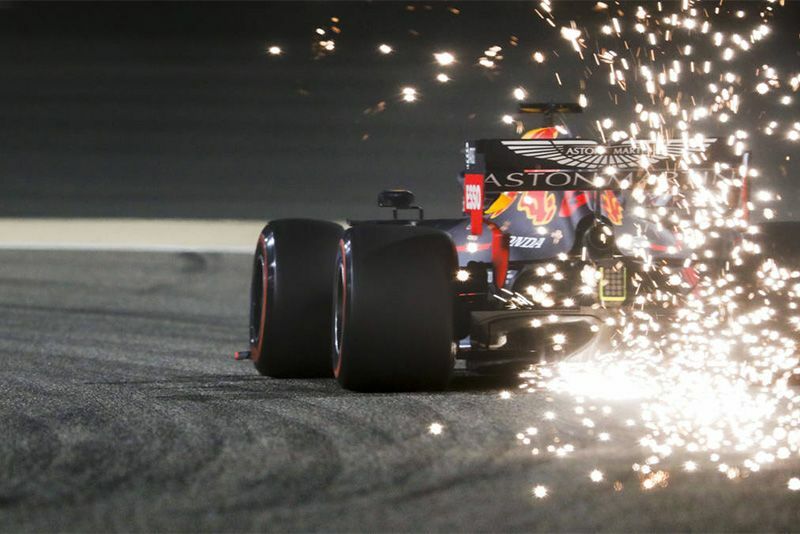 His lead in Bahrain lasted until lap 46 of 57 when he reported an MGU-H issue on his SF90 Ferrari, saying, “There’s something strange with the engine”. The 21-year-old was experiencing a loss of power on the straights which eventually saw the chasing Mercedes pair soon breathing down his neck. Although Hamilton raced a good race, he will consider himself lucky to claim first place ahead of his teammate, Valtteri Bottas, after Leclerc's engine issues. The Brit was in fourth after the first corner but put in a good display to fight his way up the field, including a battle with Sebastian Vettel who was also looking for a podium finish. The two were engaged in a close skirmish until Vettel spun exiting turn 4 and then losing his front wing on the straight that put him out of contention for the podium. Vettel eventually ended in 5th, behind the fourth-placed Red Bull of Max Verstappen. Lando Norris put in a fantastic drive to finish sixth, while Kimi Raikkonen was seventh ahead of the Red Bull of Pierre Gasly. After Daniel Ricciardo and Nico Hulkenberg touched at Turn 1, the two Renaults later retired on the same lap into the run-off at Turn 1 with power issues, in a frustrating day for them. Formula 1 now heads to Shanghai for the Chinese Grand Prix on April 14 to celebrate its 1,000th Grand Prix and Ferrari are surely looking for something special to keep the Mercedes duo from doing what they did last season. It should make for interesting racing, especially if the rather unlucky Leclerc can repeat what he did this weekend. Check out the official highlights here.